Bismillah. Literally meaning ‘In The Name of Allah’, this phrase is being used by Muslims and other believers who are at the start of a new undertaking. For some of them, that might be a laborious crusade, for others, it might be fasting for an amount of time. For Samira, it’s trying to find a cure for her brother’s illness. 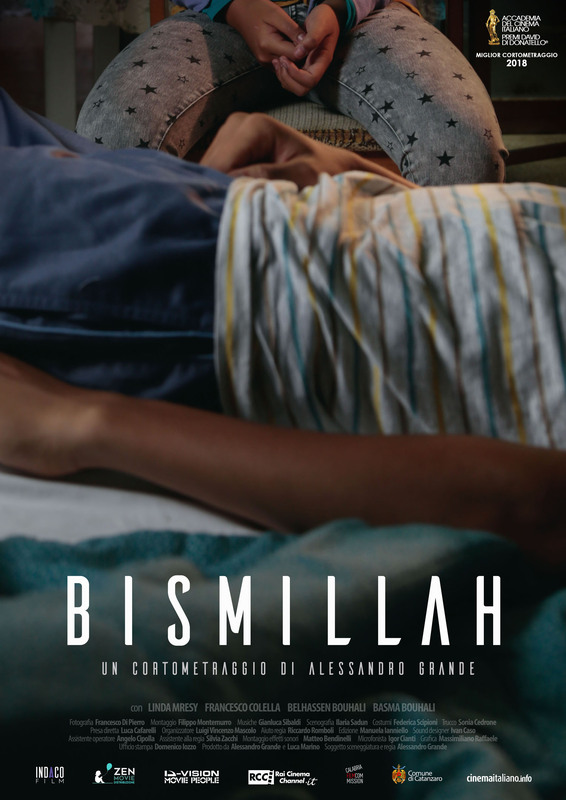 Bismillah, from the Italian director and screenwriter Alessandro Grande (Margerita, In My Prison), tells her story in an intriguing and beautifully shot short film. Life hasn’t been kind to ten-year-old Samira and her family. That’s for sure. Coming from Tunisia, they’re living illegally in Italy in a small, shambolic and old residence. It gets worse for her as her brother Jamil is becoming gravely ill and she’s the one that needs to take care of him. Trying all the medicines she can find and praying to God at every moment of each day, nothing seems to be helping. Being at her wit’s end, she and her brother are seeing one more doctor in the hope that he will be able to cure Jamil. Will the doctor succeed in his job or will all help be too late for Jamil? This short film, that was awarded Best Short Film at the David di Donatello Awards at the beginning of this year, tells in the mere twelve minutes a compelling story about life, love, and family. While having a tough life herself, Samira is doing everything she can to make her brother feeling better. No matter what she has to go through, emotionally and psychologically. The insecurity and uncertainty is certainly a lot to bear for a young girl but she’s holding on the best way possible. In Bismillah, it’s all about emotions and the human story above any action, explosions or chasing scenes. For three of the four characters in this film Bismillah is their first movie. These characters are very devoted, loving but also worrying and sad. In a short film like this about family and love, there’s no better way of representing this bond than having a real-life family playing the character. In the case of Bismillah, it’s the familial relationship between the wonderful Belhassen Bouhali (Jamil) and the pleasing Basma Bouhali as the carrying village inhabitant Halima. Francesco Colella is the only one we have already seen been before on big and small screen in films and television series such as Trust and Made in Italy. In Bismillah, he’s taking on the role of the doctor who’s the last hope for Samira and her brother. Don’t let the unknown cast stop you from watching this film. They all bring out the best of themselves in this fine movie with a very human and emotional story. We hope to see this latest Grande film in the UK cinemas soon as it’s a short film that you need to see on the big screen. It maybe can even lead to more awards for Bismillah.